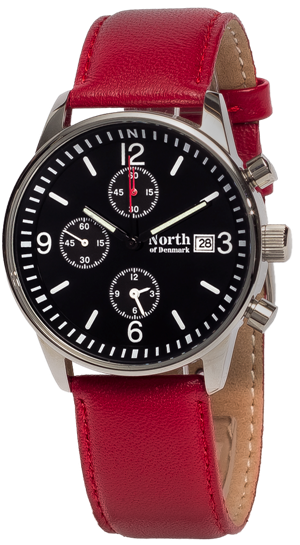 The Traveller GMT watch is designed for pilots and businessmen, who often travel between different time zones and need to keep track of time both locally and at home. The alternate time zone displayed on the small dial at 6. 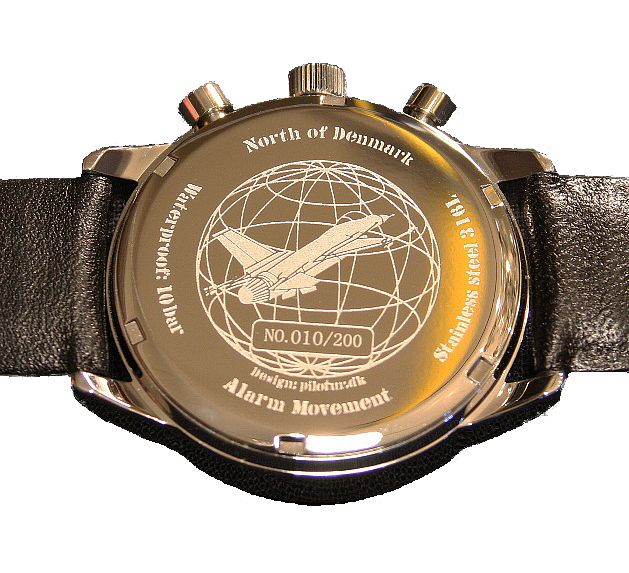 Apart from two time zones the watch is equipped with an alarm function and a 60-min. stop-watch that works through the red hands. As something special the stop-watch has a sweeping second hand, ie that it does not move in steps of 1s but sweeps. The stop-watch function is extended with a lap-time facility. 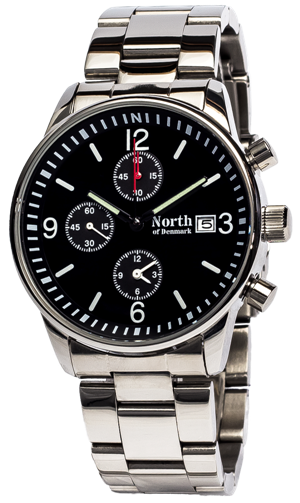 The watch is designed to be worn day and night under all conditions. 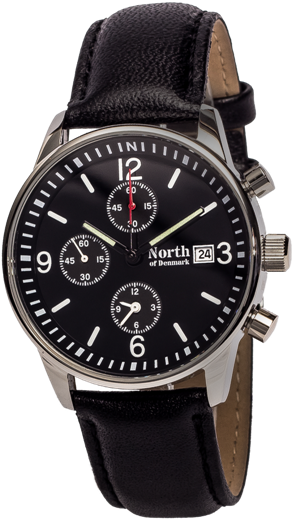 The watch is fitted with a scratch-resistant sapphire glass and has extra gaskets and a reinforced watch case to give increased water resistency. The watch is very easy to read both in bright daylight and pitch black darkness. Hour and minute hands are slightly greenish while all markings on the dial are white. The stop-watch hands are red. The movement in the watch is a high-end YM62a produced by Seiko. The watch is produced in a limited edition of only 200 pieces.